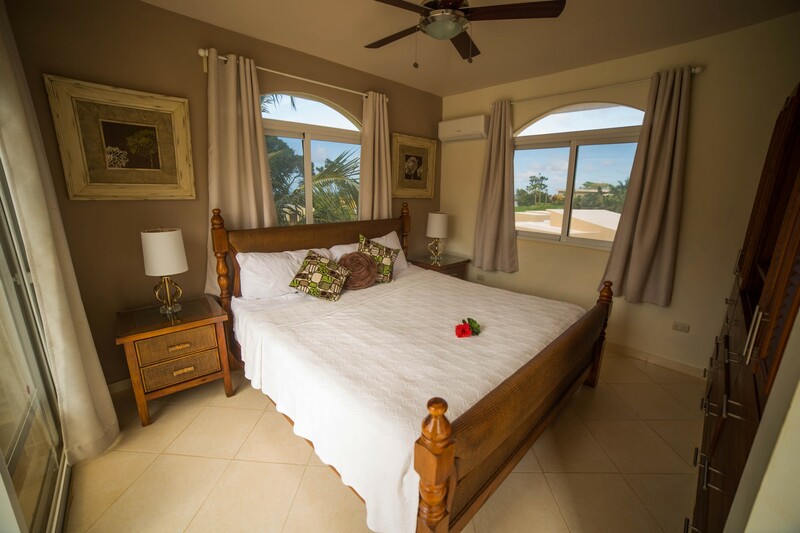 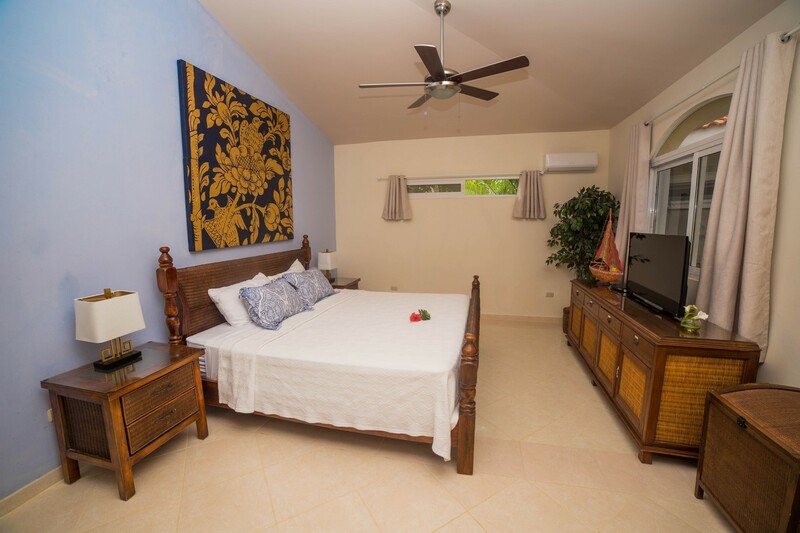 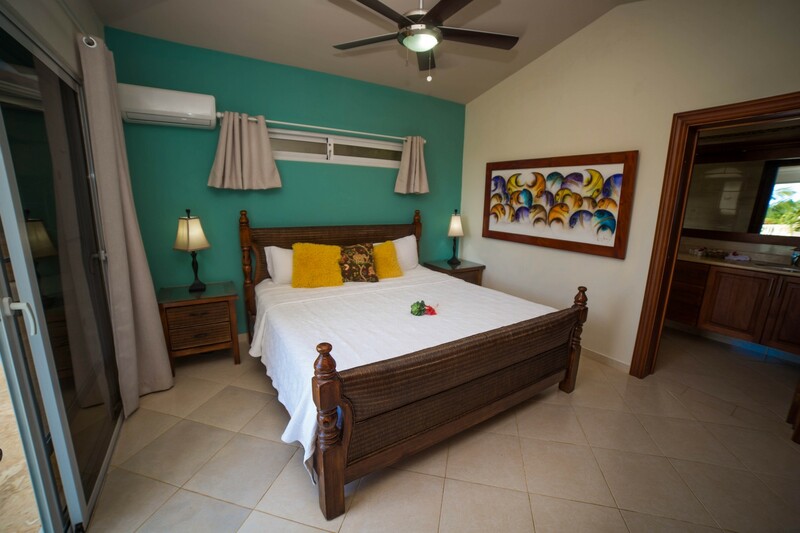 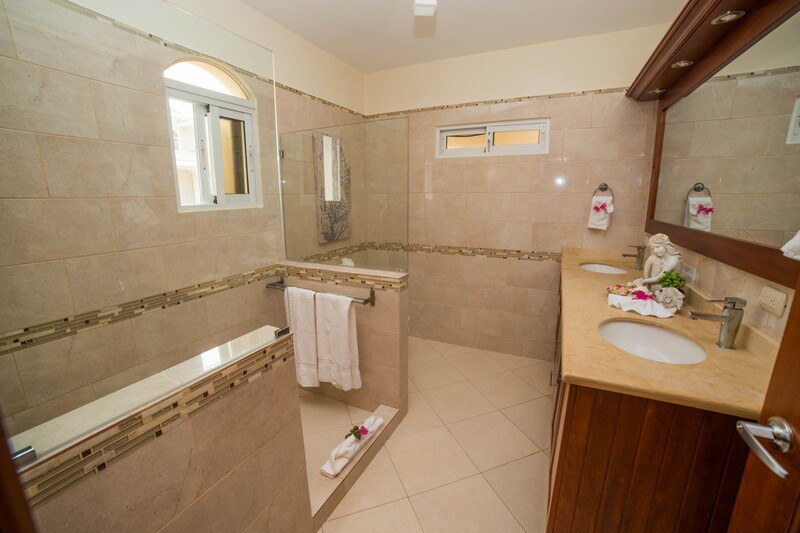 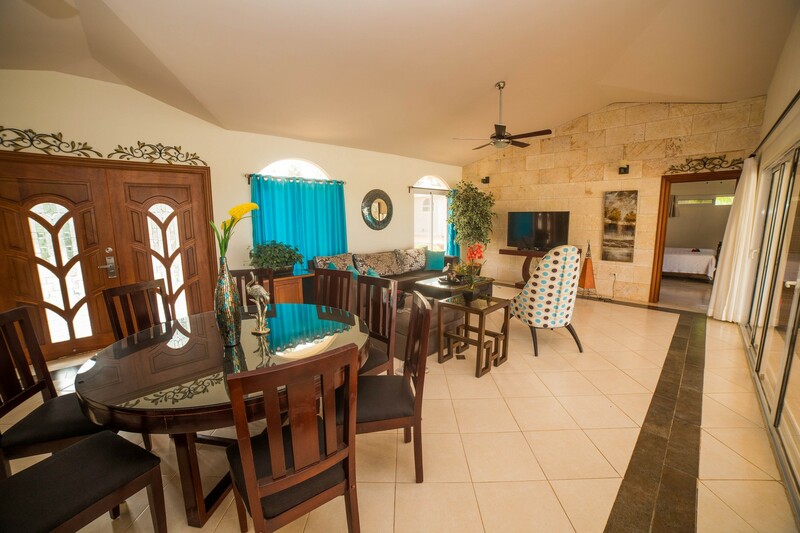 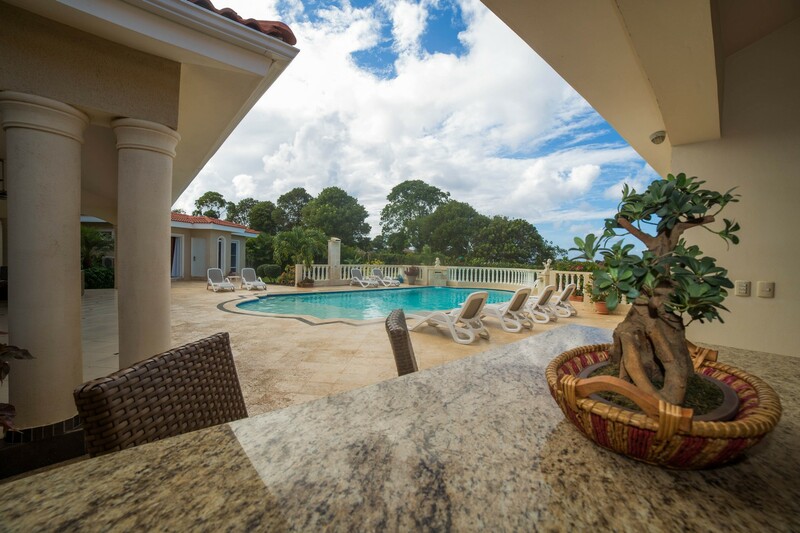 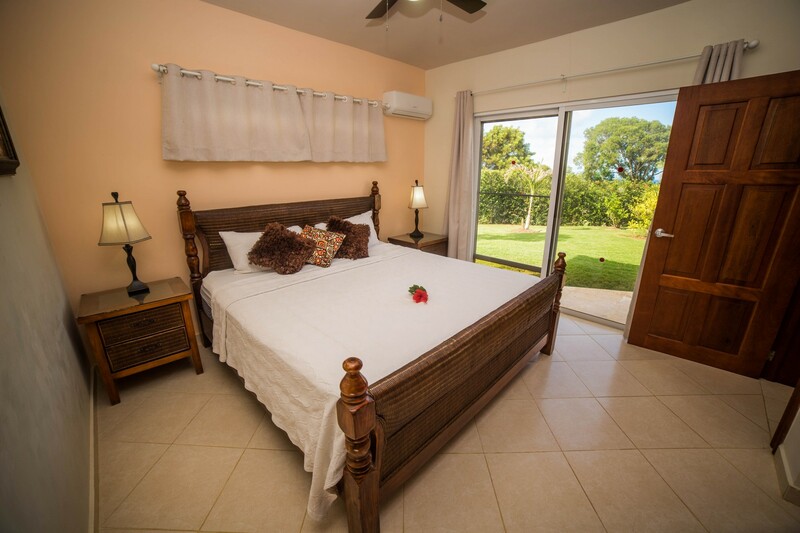 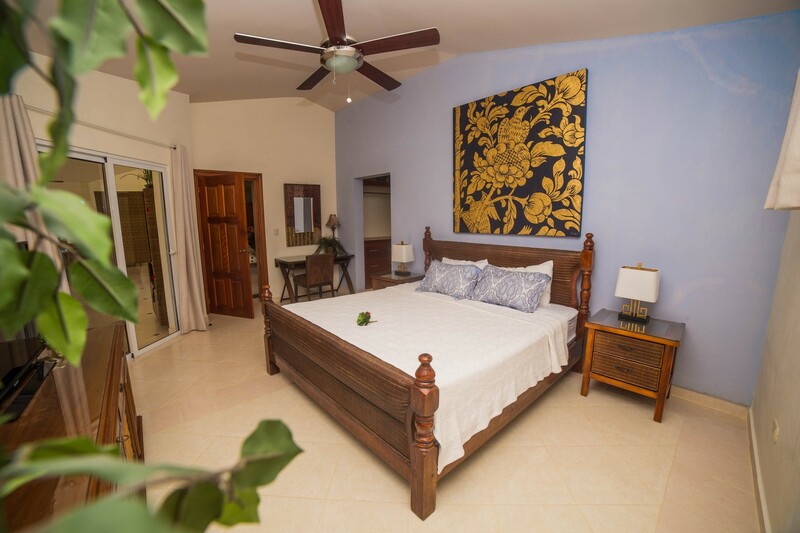 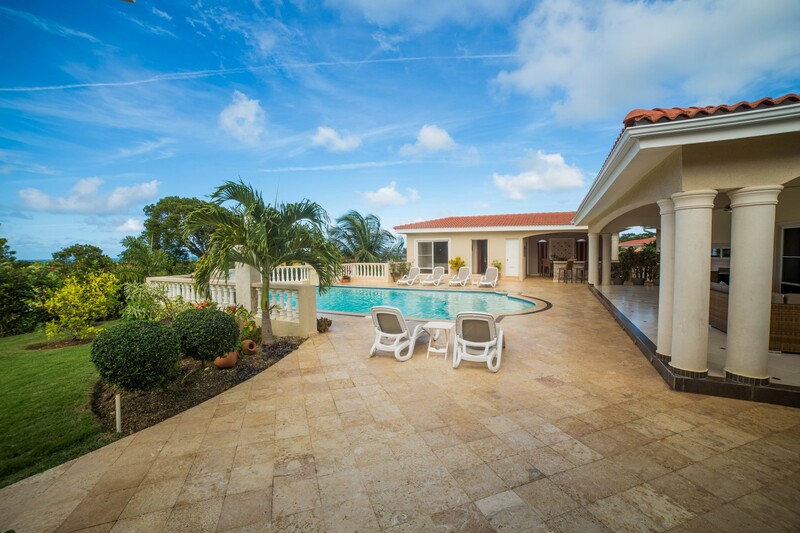 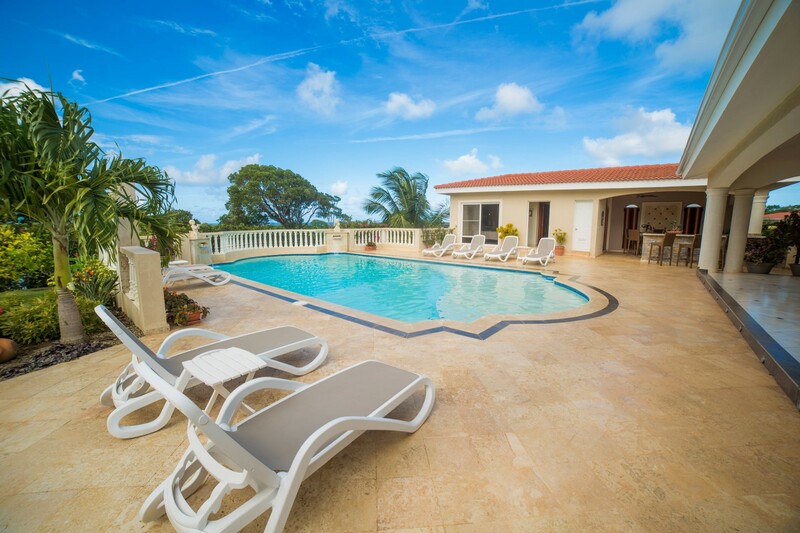 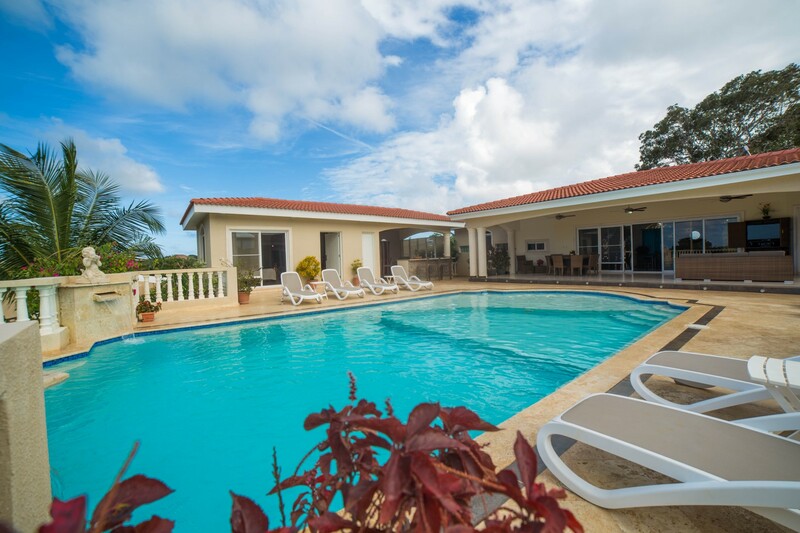 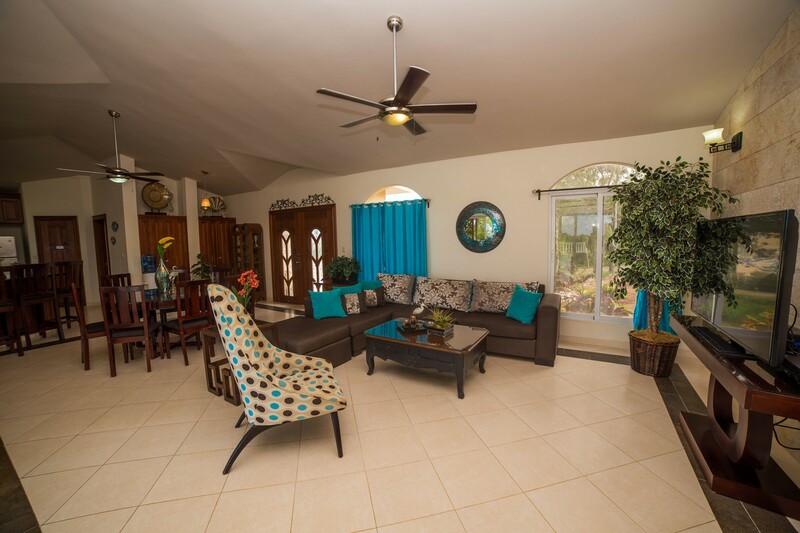 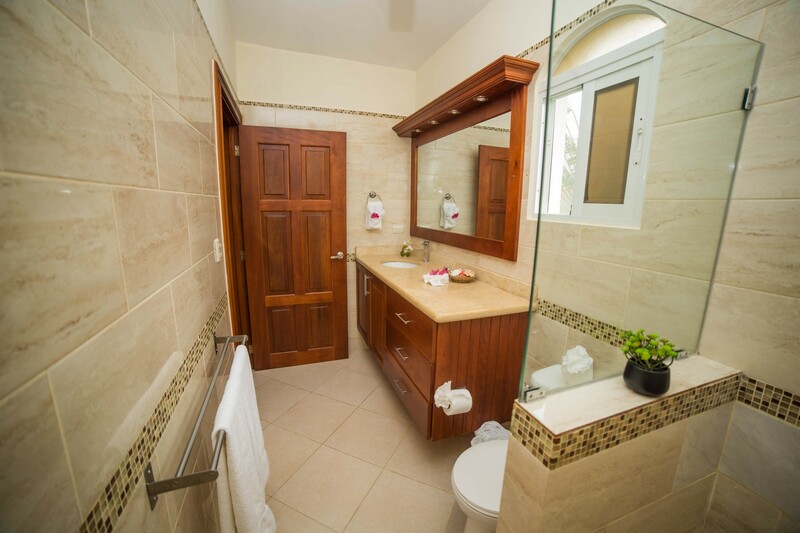 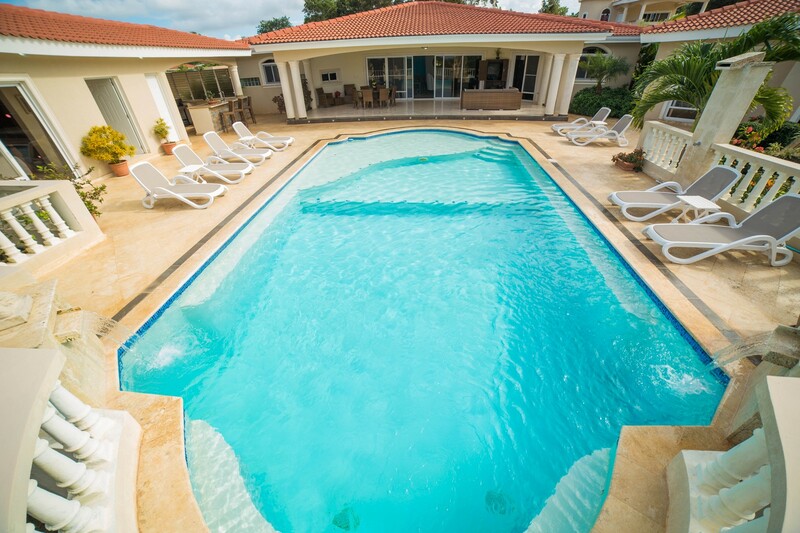 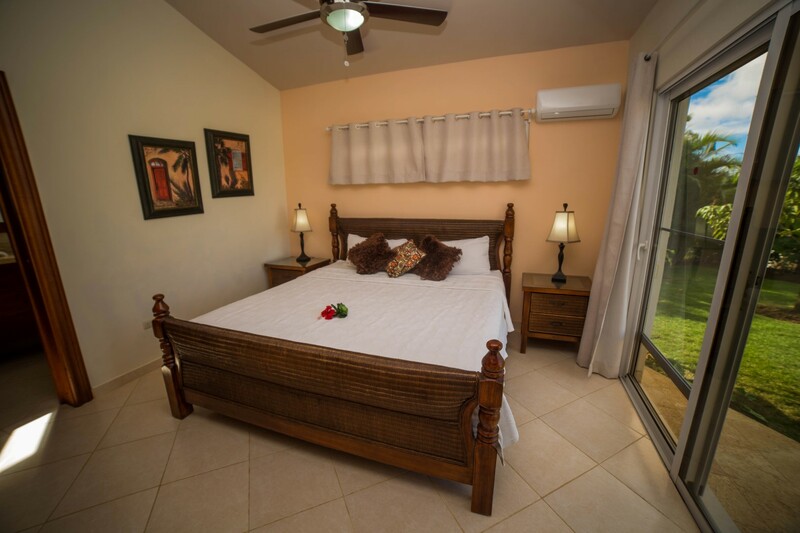 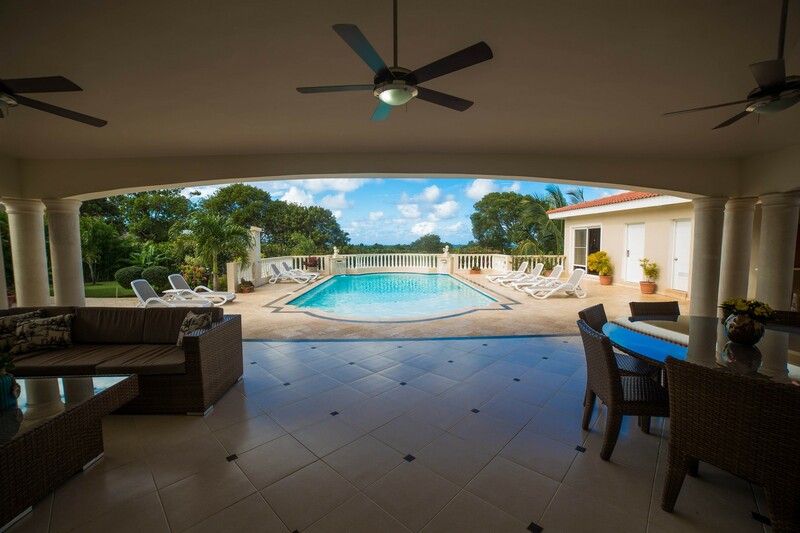 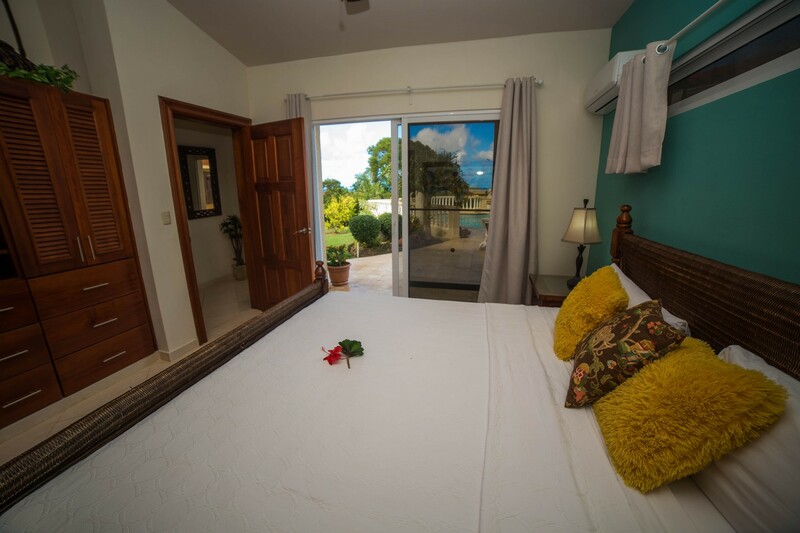 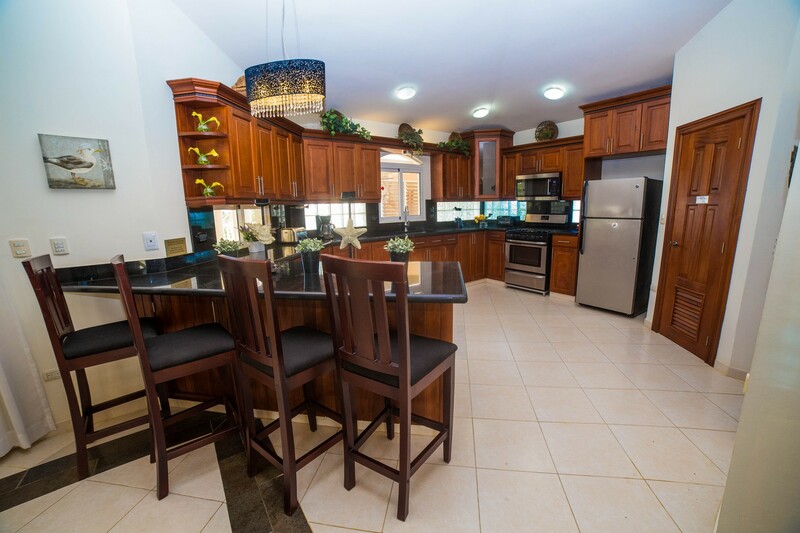 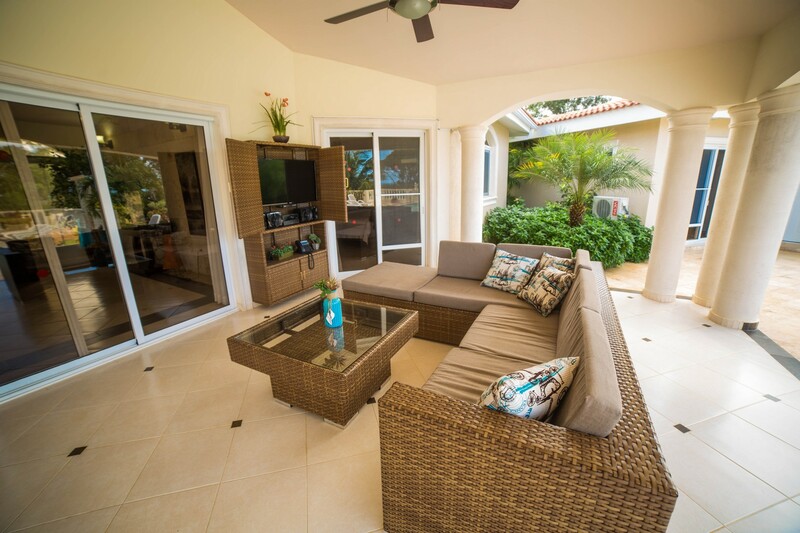 Enjoy this elegant custom villa and unwind in any of the tastefully designed private bedrooms, each with a TV, AC, safe, king bed and ensuite bathroom. 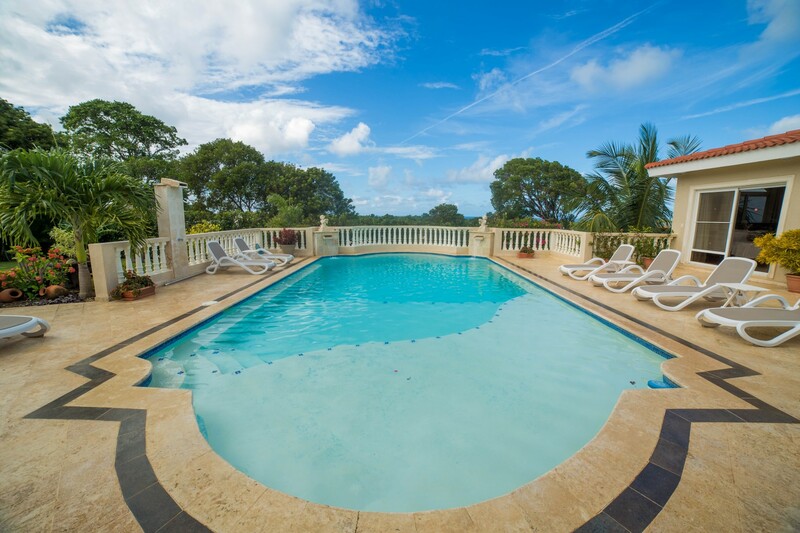 Cool down on a comfy sun bed in the shallow area of the spectacular pool enjoying the two waterfalls and beautiful ocean view. 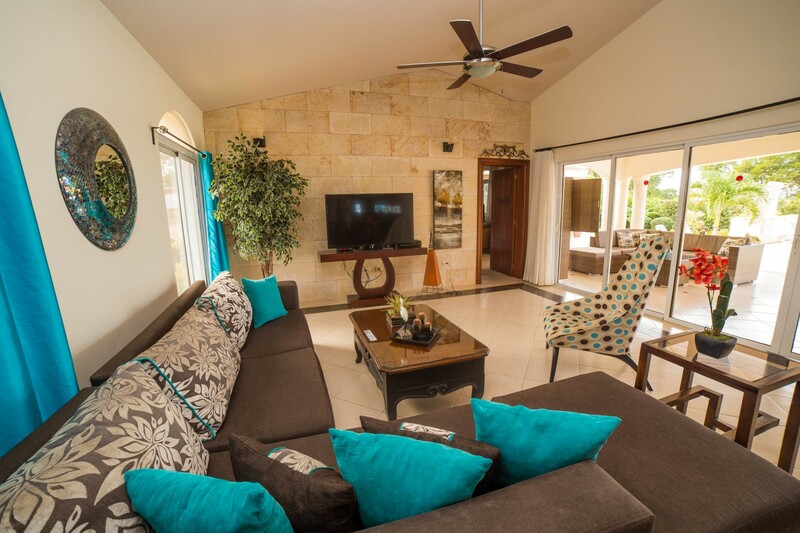 When you’ve had enough sun, head to the 55” TV and select from the extensive premium channels or pump your adrenaline with an X-Box One game. 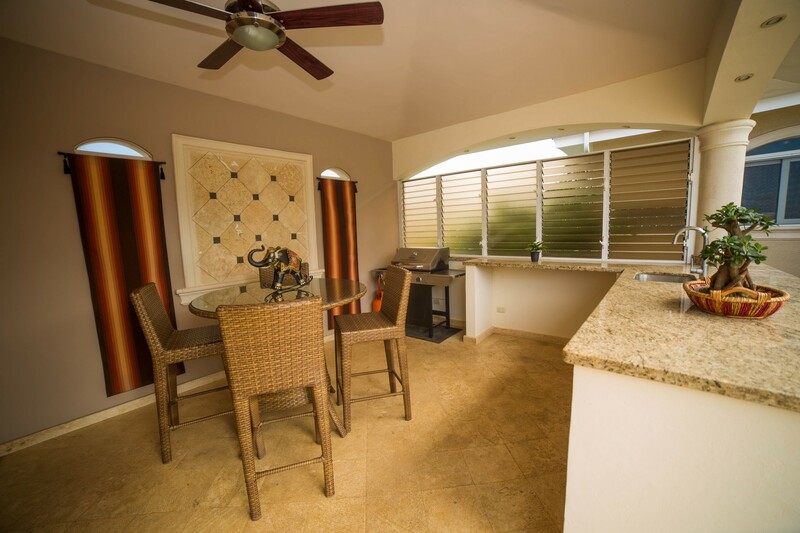 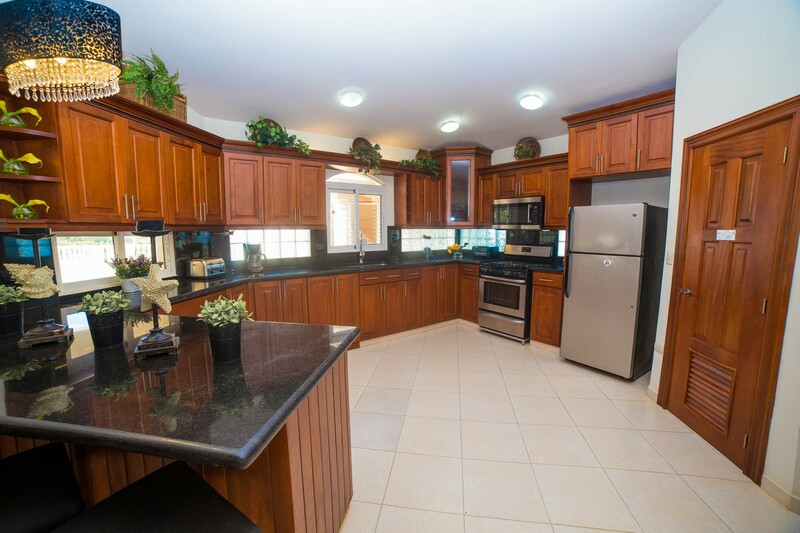 Satiate your hunger pangs grilling your favorite food in the BBQ area.  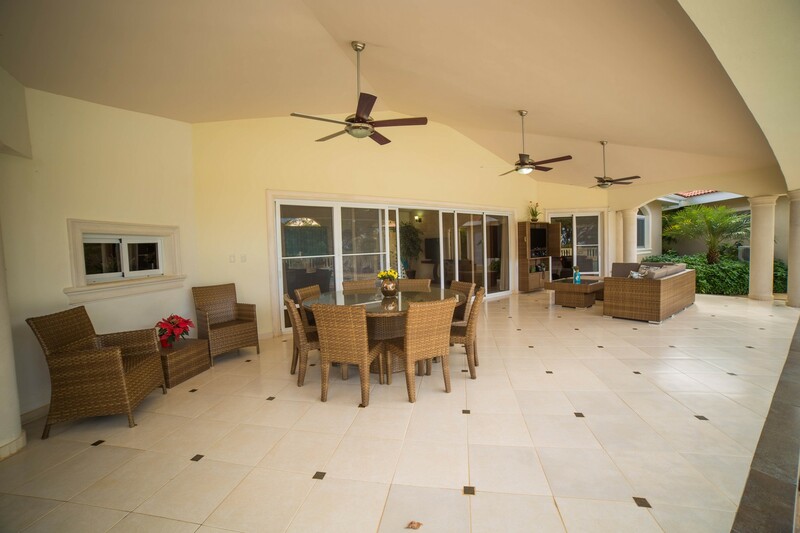 The enormous covered terrace with a TV and stereo is the place to gather with friends and party or relax, rain or shine."